After suffering a colossal collapse in a 116-98 loss to the Orlando Magic Tuesday night, the Cleveland Cavaliers now have more questions to answer. The Cavaliers have struggled so much this year that people went from dismissing Cleveland’s swoon as an ordinary annual occurrence for the team to doubting whether the Cavs could actually make it to the playoffs. That’s how serious people are perceiving the Cavs right now, and among them is Fox Sports Ohio color commentator, Austin Carr. Like most people, though, Carr could not pinpoint what exactly is going on with the Cavaliers. He partly thinks the team’s conditioning is the culprit, but the issue is clearly deeper than that. 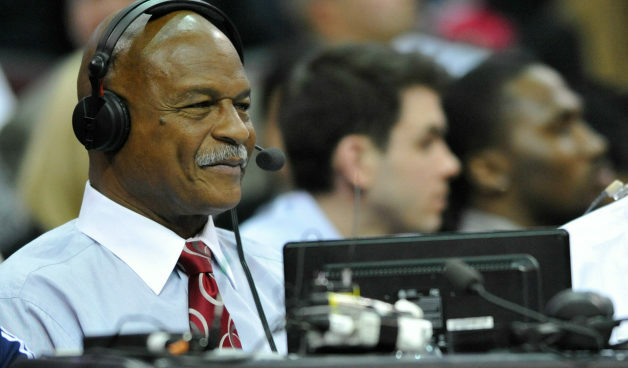 Listen to Austin Carr’s monologue below. Carr said all that after witnessing the Cavs squander a 21-point lead against Orlando. Cleveland seemed to be on pace for a victory when it scored 43 points right in the opening quarter, but failed to sustain the momentum, managing to put up just 55 points the rest of the way. The Cavs also mustered a pathetic total of nine points in the fourth period, which might have disgusted even the most ardent of Cleveland fans. The most glaring issue for the Cavaliers is their bumbling defense. They are allowing 109.7 points per game this season, but it has gotten worse for them of late. Over the last 15 games, the Cavs have surrendered 115.4 points. The Magic took advantage of the Cavs’ leaky defense, as Orlando shot 52.9 percent from the floor, which should not come as surprise considering that they scored 70 points in the paint. Whether the Cavs are going to make moves before the trade deadline or not, it’s apparent that they have to address their issues sooner than later.